Welcome to IntelliMail, the application that delivers business intelligence direct to your inbox! As a company that relies on Salesforce.com to provide insight into the performance of the business, we are confident you will enjoy using IntelliMail to be able to share your Dashboards and Reports with all of your staff, not just those who have a user license. This user guide will assist you with the installation, configuration and administration of IntelliMail. IntelliMail is a native application that runs on the Force.com platform. It is a utility tool that integrates with the cloud-based CRM system, Salesforce.com. 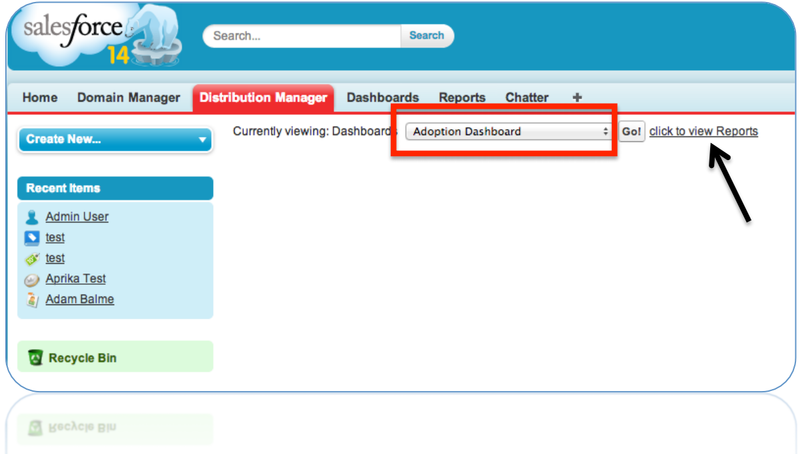 It enables you to distribute Dashboards and Reports via email to recipients (e.g. staff, board members, etc) who do not have a user licence for Salesforce.com. It delivers business intelligence direct to your inbox! IntelliMail allows you to extend the deliverability of already scheduled dashboards and reports to non-Salesforce.com users. IntelliMail emails will be delivered at the same time as your regular scheduled dashboards and reports. 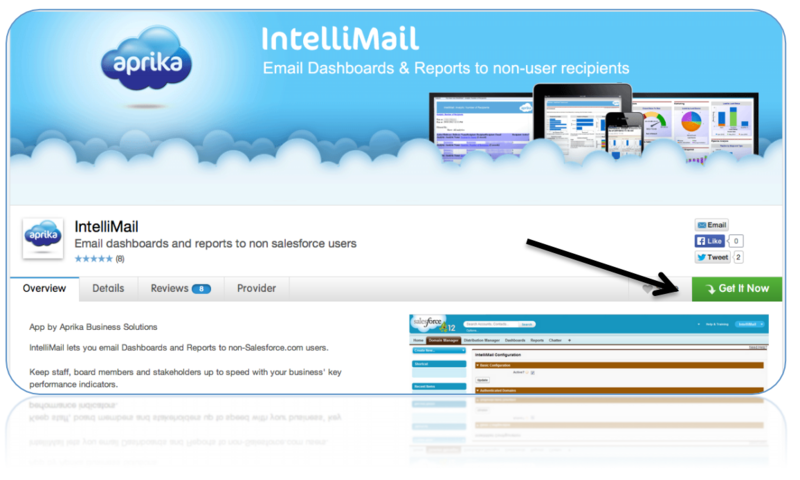 IntelliMail is only available to Enterprise , Unlimited and Performance edition Salesforce.com customers. If you are using any other edition, please speak to your Salesforce.com Account Executive about upgrading. 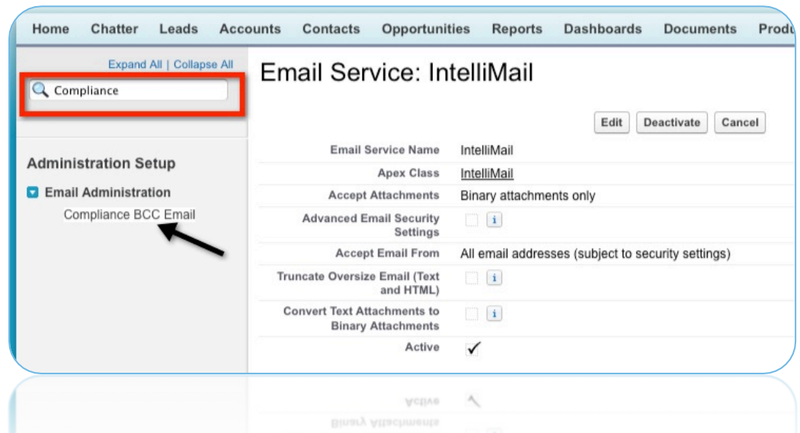 IntelliMail uses the Salesforce.com feature, Compliance BCC Email. 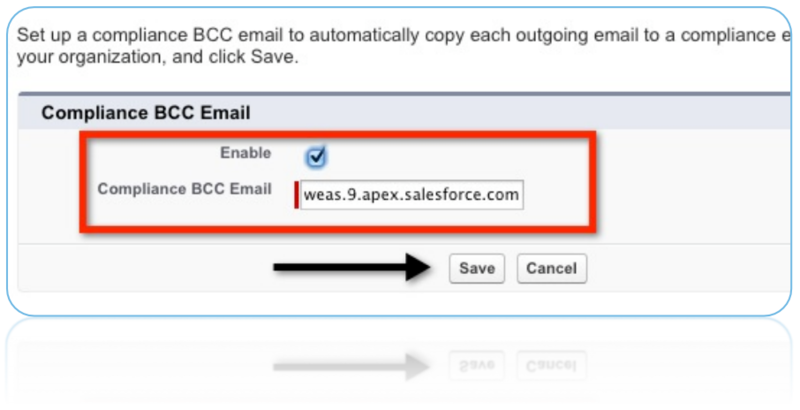 Enabling this feature removes the ability for users to bcc contacts in emails sent from Salesforce.com. For more information on this and the impact to your business, please search for ‘Compliance BCC Email’ in the Salesforce.com Help & Training. Note, there are alternative options available if you do not want to lose the BCC feature. IntelliMail emails count towards your outbound daily limit set by Salesforce.com. Reaching this daily limit may cause delay or deliverability problems of your IntelliMail emails. 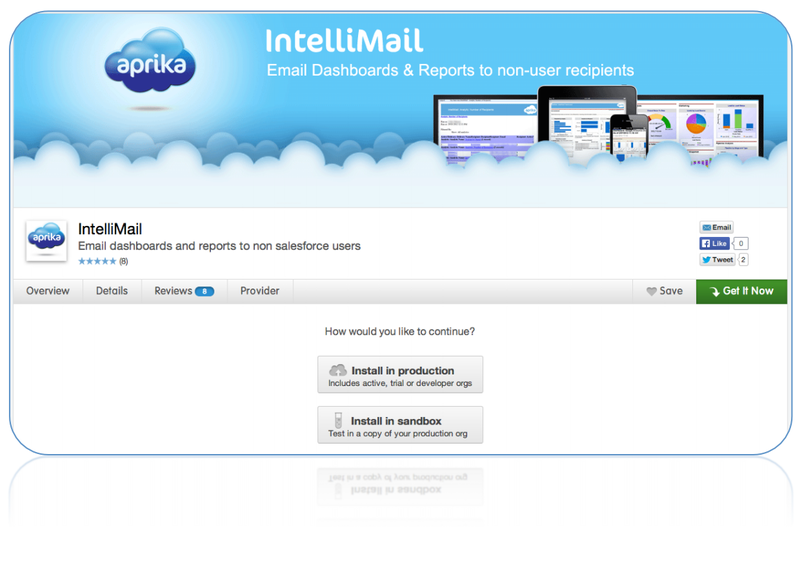 To install IntelliMail, click the Get It Now link on the AppExchange. 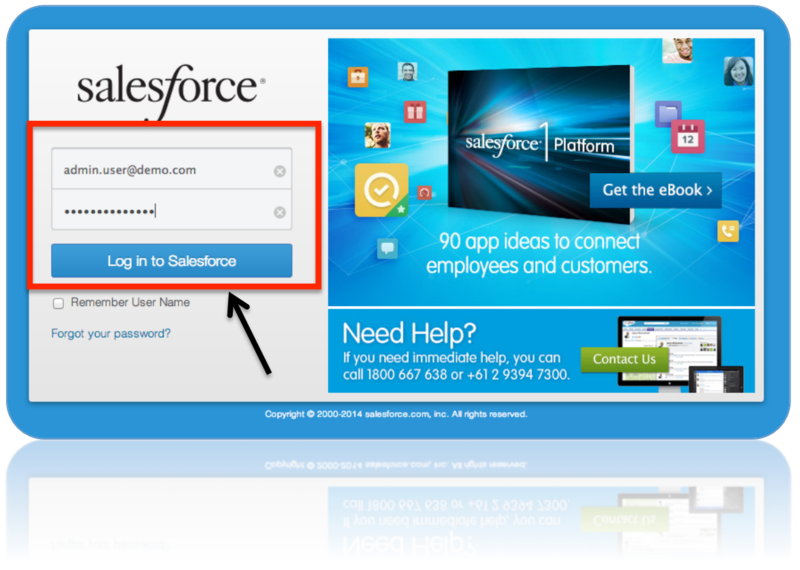 Choose the appropriate settings to install IntelliMail in your Salesforce.com org. Next, choose your security level. We recommend allowing access to all users. On the Install Package page, make sure you check the box ‘Ignore Apex Text Failures’, this will ensure your product installs successfully. You will now get a message that states your installation is complete. Congratulations! Your IntelliMail application has been installed correctly. You are now ready to move on to Configuration. Before you can begin using IntelliMail, there are a few steps required to configure the application to your specific Salesforce.com org. The instructions for these steps follow below. Type ‘Email Service’ in the left hand Quick Search box. Then click Email Services under the Develop sub heading. Configure your email service exactly as shown below. This is very important to the successful operation of IntelliMail. Note: Enable Error routing is optional, but recommended. Please enter the email address for your Salesforce.com System Administrator. Any problems with your IntelliMail service will be sent to this address. Once finished, click Save and New Email Address. Next, you need to create the Email Address associated with your Email Service. This should be pre-filled for you, just make sure you remove any Addresses from the Accept Email From field. Click Save. Now your email address is saved, make a note of the address. You will need it in the next step. You have three configuration options to choose from when setting up your Email Service, each option is listed below so you can consider which option will work best for you. This is by far the quickest and most popular option. The only downside to this is your users will lose the blind copy function when sending emails from Salesforce.com. If that’s not a concern for your business, then I’d suggest going with this option. This short ‘How To’ video will walk you through setting up the BCC Compliance option. This option lets you utilise a Chatter licence for the Email Service. It’s a good alternative if you want to retain the BCC feature, but if you’re using sharing rules around Report & Dashboard folder access, you’d be better off going with option 3. For help in setting up the Chatter User option, please see this short video. This is a little more time consuming up front, but gives you the most flexibility going forward. It lets you retain the BCC functionality and handles your folder access permissions too. To have a walk-through of setting up this option, please view this ‘How To’ video. Whichever option you go with, it shouldn’t take you more than 5-10 minutes to set everything up. Having taken note of the Email Address you created in the last step, in the right hand menu, type ‘Compliance’ in the Quick Search box. Click the Compliance BCC Email link. 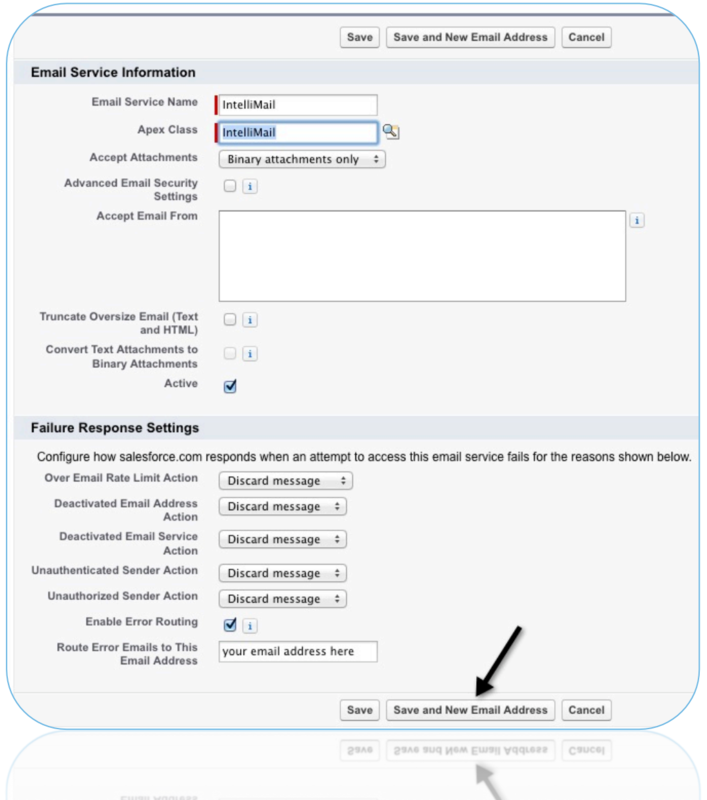 Enter the email address created in the last step in to the Compliance BCC Email field, check Enable and click Save. To make IntelliMail active, select IntelliMail from the App Drop Down. Click the Domain Manager tab, check the Active? Box and then click the Update button. IntelliMail is now activated. IntelliMail comes with some pre-set ‘out of the box’ branding elements built into the email template that is used to send reports and dashboards to non-user recipients. The illustration below shows these pre-set elements. To change the logo, you need to go to the ‘Documents’ tab, select the ‘IntelliMail Assets’ folder and then replace the file associated with the ‘aprikalogo’ document. To customise the remaining branding elements to your own requirements you need to complete the ‘Customisation’ settings in the ‘Domain Manager’, see the illustration below. You can choose to remove filters from the report using the appropriate checkbox. Below is an example email template using the customised settings from the above scenario. 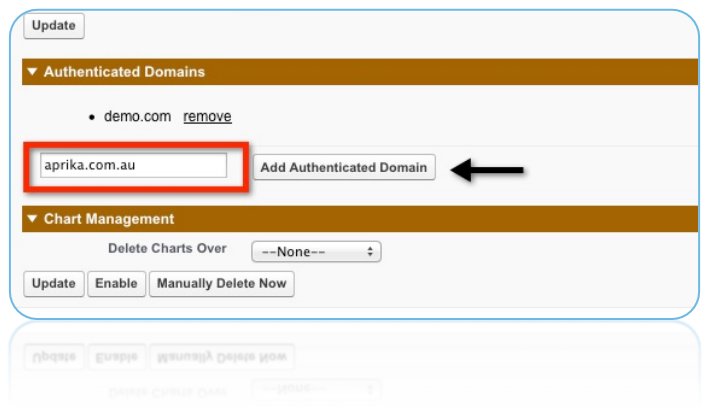 To make sure your reports and dashboards are emailed to recipients, you need to add an Authenticated Domain within the Domain Manager. 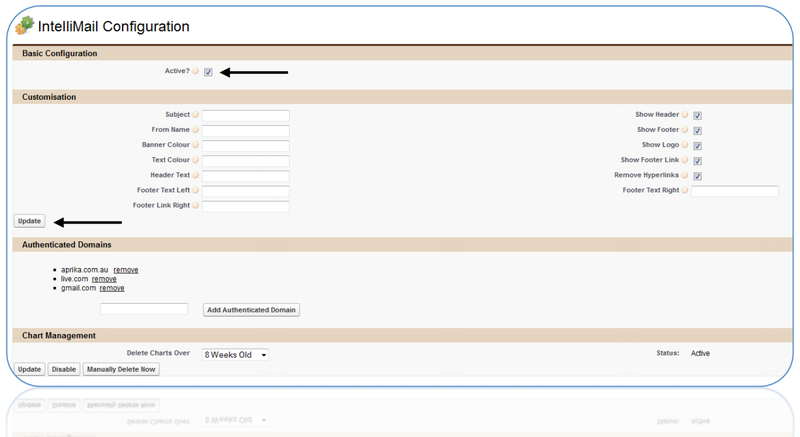 To add a domain, enter the domain in the field and click the Add Authenticated Domain button. You may add up to 1,000 authenticated domains. Note: ensure domains are entered in the following format: test.com or acme-domain.com. 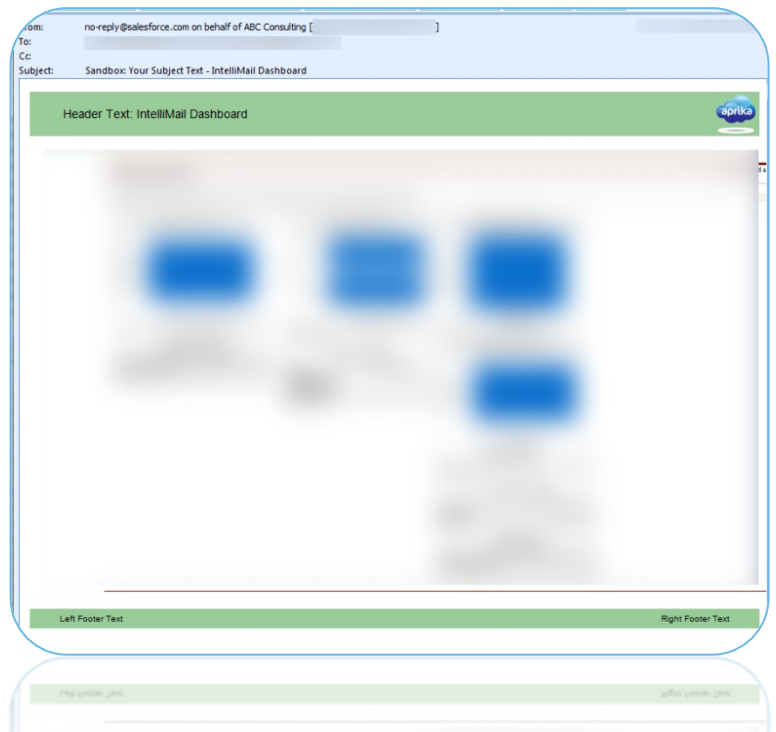 For every dashboard IntelliMail distributes, the dashboard images are stored within the IntelliMail documents folder. This is where IntelliMail emails reference the dashboard images. To ensure IntelliMail does not utilise too much of your storage space, you can enable Chart Management to periodically delete old images. 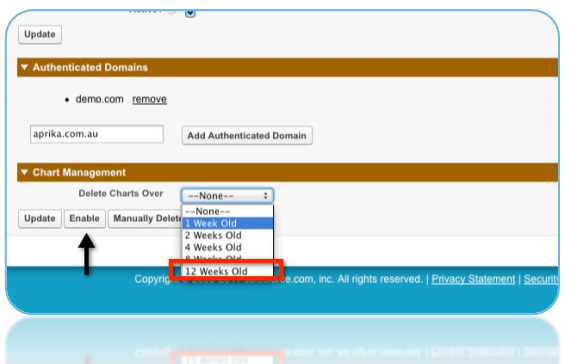 Simply select a date range from the drop down and click Enable. IntelliMail will check the folder every day and delete old images within the specified date range. The Status will update to Active. IntelliMail is now fully configured and you can start scheduling your dashboards and reports for delivery to your non-Salesforce.com users! You do this via the Distribution Manager. Use the Distribution Manager to schedule your reports & dashboards with IntelliMail. Click the Distribution Manager tab. Use the drop down to choose the Analytic you would like to distribute via IntelliMail. Click the ‘click to view Reports’ button to switch between dashboards and reports. For dashboards and reports that haven’t previously been configured with IntelliMail, your options will be limited to just being able to save the option. Click Save to activate the Analytic. After saving the Analytic, you should now be able to add Recipients. Remember, that you can only add Recipients for domains that have been authenticated in the Domain Manager. To add a recipient, click Add Recipient, alternatively click Add Multiple Recipients to add more than one recipient at a time. 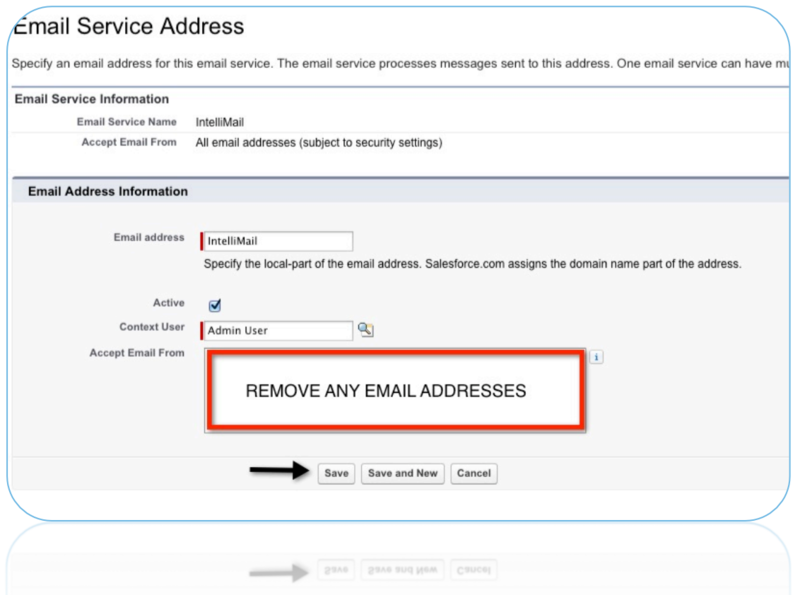 Add the non-Salesforce.com user’s email address into the email field and click Save. The recipient has now been added, you can click Add Recipient to add more Recipients. Note: At this time, you can add up to 100 recipients to each dashboard or report. You can add multiple recipients to the distribution list for a Report or Dashboard. 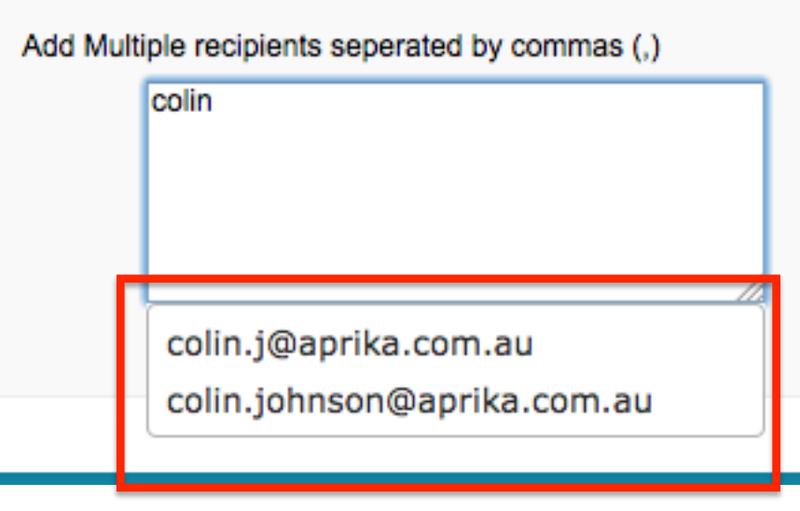 Click the ‘Add Multiple Recipients’ button and enter each email address separated by a comma (,). When entering a Recipient to the distribution list of a Report or Dashboard, whether individually or via the ‘Add Multiple Recipients’ button, an ‘Auto Search’ feature will appear that shows a list of potential matches that are already in the system. Once you have added all of your recipients, you will need to ensure the underlying dashboard or report is scheduled for automated delivery. Click the View Source Analytic button. 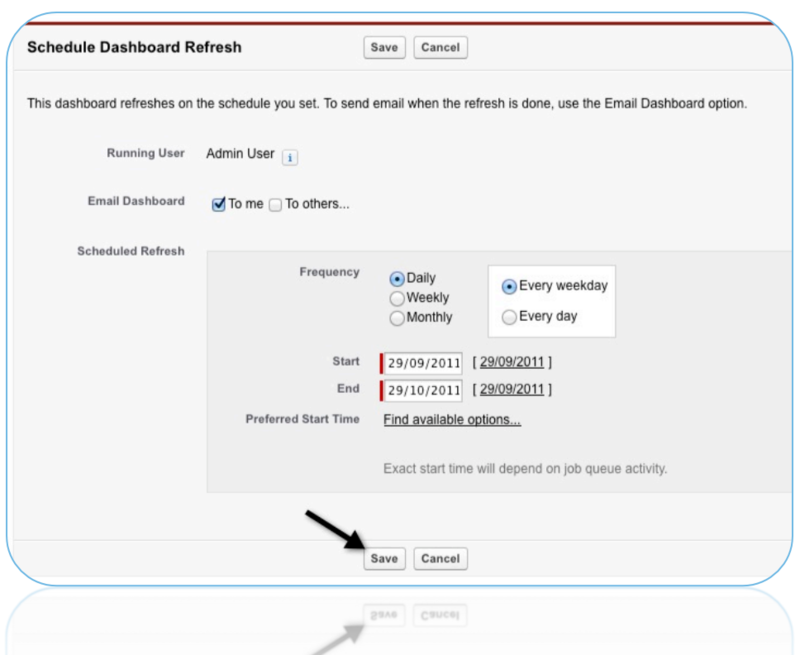 From your dashboard or report, click the drop down next to Refresh and click Schedule Refresh. 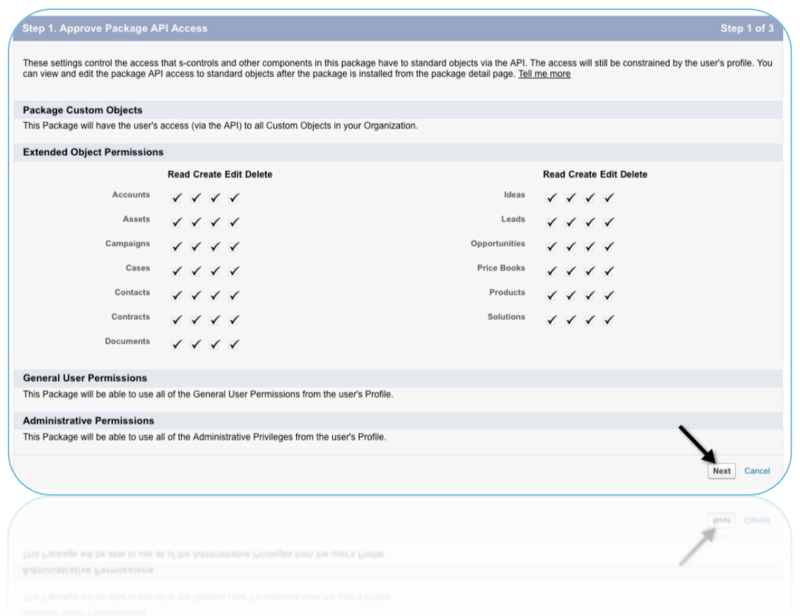 When you schedule a dashboard or report for automated delivery, you need to specify at least one Salesforce.com user. Best practice is to check the To Me box. 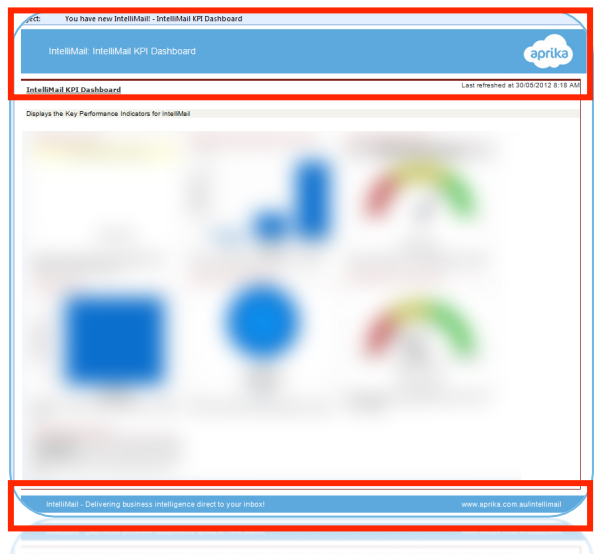 As a System Administrator, you can then monitor which dashboards and reports are being delivered by Salesforce.com. Set your preferred Start and End options and Preferred Start Time. When you are happy with your settings, click Save. Now that your dashboard or report is scheduled, IntelliMail will deliver it to the nonSalesforce.com users you have specified in the Distribution Manager. 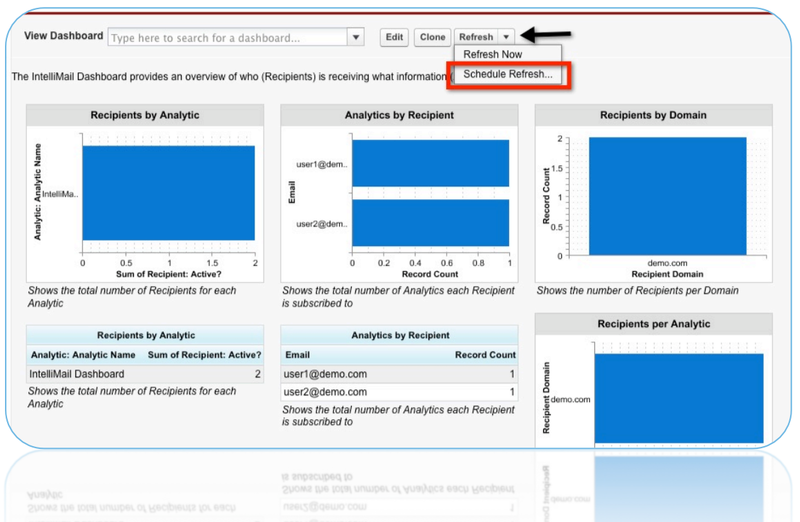 You can return to the Distribution Manager to manage which reports and dashboards are delivered, and to which recipients. To access the IntelliMail dashboard, click the Dashboards tab and select IntelliMail Dashboard from the drop down, which is contained in the IntelliMail Dashboards folder. If you can’t find what you’re looking for in the user guide or videos? Please lodge a support ticket and one of our team will get back to you. We know there’s plenty of people out there that prefer to watch, rather than read. So…we’ve put together a range of short ‘How To’ videos that take you through how to use all of the key features within IntelliMail.